Jane Bavineau, Vice President of Senior Services, talsk about flipping the script on aging, the silver tsunami we keep hearing about and how Appreciative Inquiry changed her perspective. 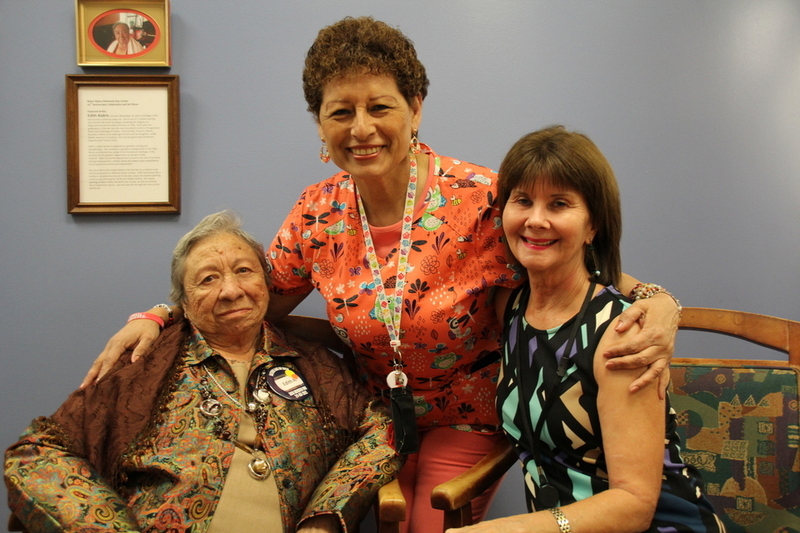 When Sheltering Arms Senior Services merged with BakerRipley in 2011, Jane Bavineau thought she would teach everyone a thing or two about aging and seniors. Jane, the former Sheltering Arms Executive Director and now BakerRipley’s Vice President of Senior Services, didn’t know that her long-held narrative about aging was about to change. The narrative that depicted older people as sick, frail and a burden stemmed partly from organizations (both private and non-profit) only asking seniors about the downfalls and challenges of growing old. After conducting nearly 70 interviews with seniors, Jane realized that with aging comes a tremendous sense of freedom, that happiness comes from being engaged in meaningful relationships, and that helping others and contributing to a community is invaluable. All of this is true, they found, regardless of socio-economic status, ethnicity, and personal circumstances. We talked to Jane about flipping the script on aging, the silver tsunami we keep hearing about and how AI changed her perspective. How do we apply AI to our senior services? It has completely changed how we plan, deliver and evaluate the programs and services we offer, and it has completely changed how we think and talk about our neighbors. The AI sessions gave us a theme that cut across all of those people and groups. All the sick people, all the dementia people, all the well people. It’s not about feeling sorry for them, it’s about, look at what they are doing, look at the contribution they can make – they just need a little help to keep going. We identified a common truth for all people – it doesn’t matter where you live or what you have or the color of your skin, everyone wants to earn, learn, belong and be well. What’s the importance of connection? Even the person with dementia, doesn’t want to feel isolated – they need a sense of connection. The person that can’t walk well by themselves, still wants to be able to go and do things, with the highest level of health they can. It’s all the same, just different depending on the person. How are we flipping the script? Now that we have this new narrative, we no longer play “the sympathy card” when trying to garner support for senior services. 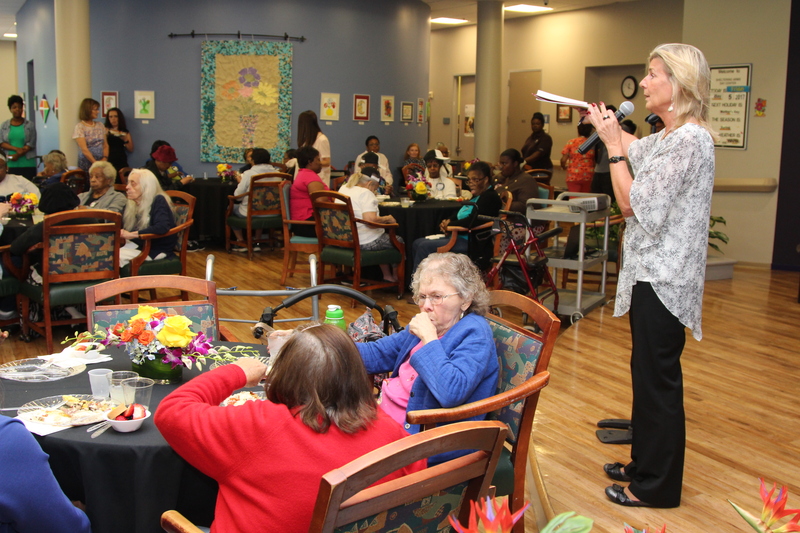 Instead, our aim is to inspire others to join us as we work to create purpose, meaning and connection for the older adults we serve. If you look at all the ways they can still do, and still be, you can get pretty inspired by that. What is this Silver Tsunami we keep hearing about? We love this metaphor because it gets people’s attention, and it’s true because the population is aging faster than ever before – the number of people above that 65+ range is going to be close to 20 percent of the population pretty soon. Back in my pre-AI days, the story was always about this tsunami coming and we better look out because it’s a bad thing. There’s going to be this mass number of people who are going to get old, going to get sick, not be able to get around, not going to be able to take care of themselves. Now when we talk about the silver tsunami, it’s not about this horrific wave that’s coming, it’s about this generous, contributing, valuable age wave that’s coming. That’s the massive difference, when you look at things with the AI perspective and when you look at it the traditional way. Support our programs for older adults.